Vita Liberata Fabulous Gradual Self Tanning Lotion, 6.76 fl.oz. Product prices and availability are accurate as of 2019-04-19 11:22:05 EDT and are subject to change. Any price and availability information displayed on http://www.amazon.com/ at the time of purchase will apply to the purchase of this product. 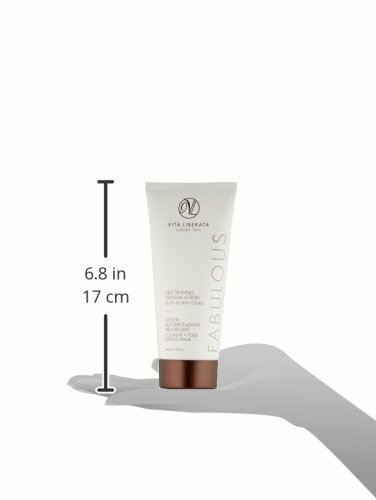 This ultra-hydrating gradual tan lotion gives a subtle, sunkissed glow. It's gentle enough for dry and sensitive skin types, and creates a natural-looking tan that fades after four to seven days. Certified organic botanicals and a moisture locking system nourish the skin and give 72-hour hydration while Odour Remove technology ensures no smell whatsoever.